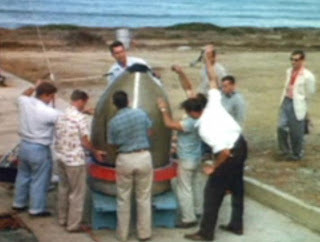 I think the costing of the Project Orion nuclear bomb powered spaceship deserves repetition. Particularly in light of the recent post by Freeman Dyson who, while now opposing it on environmental grounds, expressed no doubt it would work. It perhaps shows how cruel & heartless I am that I consider the environmental cost, the irradiation of a small south Atlantic island for a relatively short while, presumably together with a number of penguins to be well worth it. Note however that highly radioactive material has a short half life & that Bikini atoll, site of numerous far larger blasts, is now well below radioactive safe limits & thriving. p111] ; surely this does not include development costs for the thousands of items from spacesuits to scientific instruments that such a program would require." Note that most of the ancillary stuff has now been done & indeed done far better than conceivable in the 1960s. In today's money that is $690/£450 million annually or $8.300/£5.400 million over 12 years. That is the same amount per year the UK spends in funding NERC merely one of many quangos existing to promote warming alarmism, less than twice the cost of building a new Forth bridge & 7% of the cost of subsidising the offshore part of our windfarm subsidy programme. 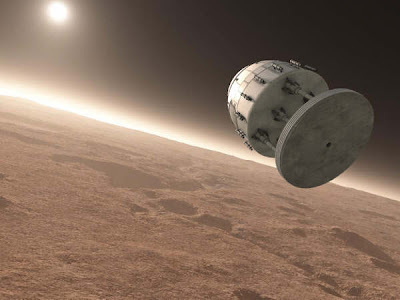 Should we invest £450 million a year in putting 1,000 tons in orbit & reaching "Mars by 2015, Saturn by 2020"
Have you read George Dyson's 'Project Orion' history of the project? Not the greatest writing, but a fascinating and very detailed coverage of the tale.